Did you ever wonder why a woman’s bra size is measured by A, B, C, D, DD, E, F, G, and H? F ~ Fake, definitely fake. G ~ Get a reduction, already. Good grief. H ~ Help! I’ve fallen and I can’t get up! Thanks to my friend Christy-from-Nebraska who sent this bra-size explanation to me. And I dedicate this post to my mother who actually thought the tank top (a gift from Stormie Dae) I was wearing said, “I am so blogging these,” rather than the more acceptable and actual “I am so blogging this,” (which is what bloggers say about everything). 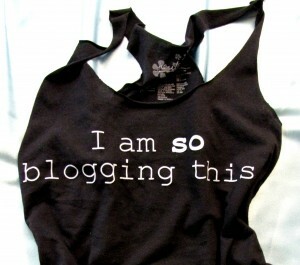 I don’t have that kind of blog, I told her. But, hmmm, maybe I do now, after this post? I think I have a picture version of this!! I’ll see if I can find it and i’ll send it to you! According to the ad on TV for a local bra shop they come in sizes up to M! Oh, Cheri, no! Are you kidding? Seems like that would be aggravating! It’s the honest truth. I’ve thought of going in there and asking to see one. That would be considered an “a–” bra! M for the more the merrier!